Brenda Debow, 69, of Batesville passed away on June 10, 2018. She was born November 16, 1948 to James and Earlene (Hindman) Burris. She enjoyed gardening, reading and collecting cookbooks, writing poetry, spending time with her friends and family and she loved her dog. In addition to her parents and grandparents, she is preceded in death by her nephew Matthew Sturch. 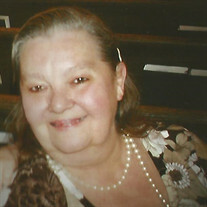 She is survived by one daughter, Shonia King (Jeff) of Harrison, AR, one sister, Jimmie Lynn Sturch of Cabot, AR, four grandchildren, Brittinie Moser (Johnny), Trenton Pretty (Ashley), Brendan King, and Danielle King, and five great-grandchildren, Payton Moser, John Payton, Elizabeth Payton, Sarah Payton, and Jaxon Bradley, as well as numerous nieces and nephews. Visitation will be Wednesday, June 13th from 6-8 PM at the Willis Funeral Service Chapel. Funeral service will be Thursday, June 14th at 10 AM at the Willis Funeral Service Chapel. Burial will follow at the Oaklawn Cemetery in Batesville under the direction of Willis Funeral Service.